Barbara Anne Kucynda, age 71, of Wayne NJ passed peacefully at home on Friday, February 16, 2018. She was born to John and Anna Kuntzevich and raised at 5905 Glenwood Road in Brooklyn. She graduated from Samuel J. Tilden High School in Brooklyn and for one year attended Saint Johns University in Brooklyn. Her family moved to Bridgeport, Connecticut and Barbara finished her education at Western Connecticut State University in Danbury, Connecticut where she graduated with a Bachelor of Science Degree in Elementary Education. Barbara met a young man named Paul Kucynda who was doing seminary field work at her parish, Holy Trinity Orthodox Church in Brooklyn. Barbara used to tell a story of how she was pouring water into glasses at a dinner and Paul kept sliding his glass to the side while she was pouring. Barbara simply poured the water onto the table when he moved his glass. They would eventually fall in love and the night Paul gave her the engagement ring, September 13, 1965. They married on June 11, 1967 at Barbara’s parish, Holy Trinity Orthodox Church, and honeymooned in Bermuda. They have enjoyed a devoted marriage of over fifty years having celebrated fifty years of marriage in 2017. After graduating college Barbara initially worked as a substitute teacher in Connecticut while waiting for Paul to finish at the seminary. When Paul was ordained on January 7, 1968 and assigned to the Holy Resurrection Orthodox Parish in Wayne NJ staring with twelve families and three acres of land, while Barbara worked for the Wayne Board of Education until she was blessed with a son Timothy in 1969. She dedicated herself to raising Tim until he was in about third grade when she decided to return to the workforce. She again worked for the Wayne Board of Education where she started as a substitute teacher and eventually worked as a Special Education teacher. After working for the school system she worked as a bookkeeper for Gotleib and Eurlich in Newark and later just Gotleib in Parsippany. As the wife of a church pastor she also worked at the church as she was Father Paul’s right hand woman. 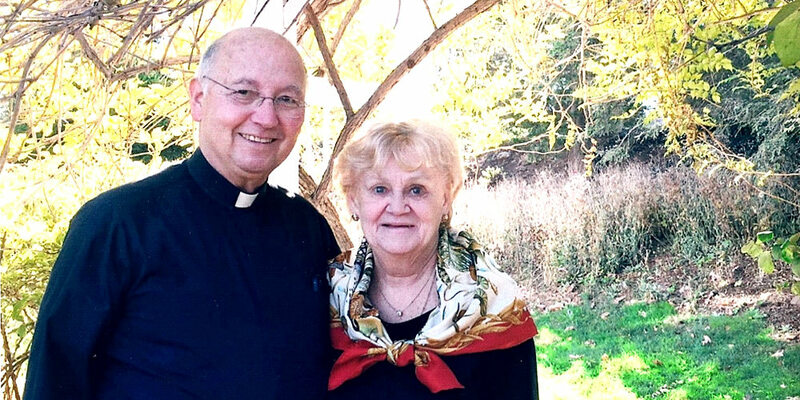 She took on many and varied responsibilities at the church; her caring and supportive involvement with the church helped not only Father Paul, but at least four generations of her parish family. She and Father Paul celebrated fifty years of ministry together at Holy Resurrection Orthodox Church in January of this year. Barbara is the loving wife of V. Rev. Paul Kucynda; devoted mother of Timothy Kucynda of San Francisco, CA; cherished daughter of Anna Kuntzevich of Wayne and the late John Kuntzevich; dear sister of Dianna Hurley of Bloomingdale and loved sister-in-law Charlotte and her husband Joseph Markovitch of Clearfield, PA; much loved aunt of Christin Messina of Vernon, Kelly Barbara Chabebe of Chicago, Il, Erin Schissel of Bloomingdale; great-aunt of Fletcher and Griffin Schissel; and many beloved Godchildren, and many children and teens whose hearts were touched by her various youth oriented efforts. Friends may visit with the family from 2-4 PM on Thursday, February 22, 2018 and a second day of visitation from 2-4 and 7-9 PM on Friday, February 23, 2018 at Holy Resurrection Church, 285 French Hill Road, Wayne NJ. During the visitation on Thursday, a 3 PM Memorial Service will be held. 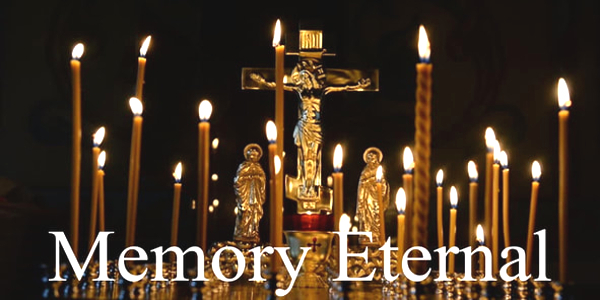 On Friday an 8 PM Funeral Service will be held with Archbishop Michael Dahulich presiding. Divine Liturgy with Archbishop Michael Dahulich presiding will be held 9 AM on Saturday, February 24, 2018 at the church. CHANGE IN SCHEDULE: Interment will be 11 AM on Monday, February 26, 2018 at Saint Vladimir's Cemetery, 316 Cassville Road, Jackson NJ 08527. In lieu of flowers memorial donations to the Diocese of New York & New Jersey (designated to the Youth Department), 33 Hewitt Avenue, Bronxville NY 10708 would be greatly appreciated.